Amazing Skin Treatment - At Home! I have pretty bad acne, and this is, so far, my favorite skin treatment. 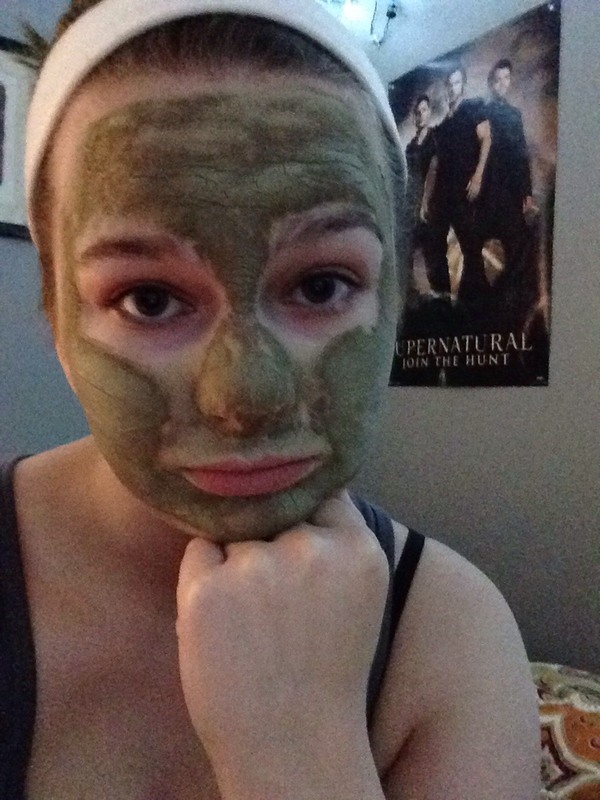 It claims to "remove impurities & dirt from the pores." 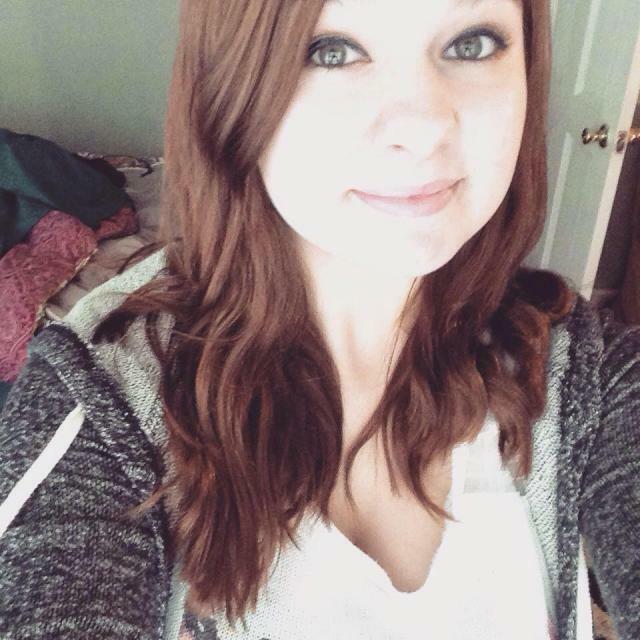 My acne seems to have gone down tremendously since I have started using it. This is all you will need for just the clay treatment. 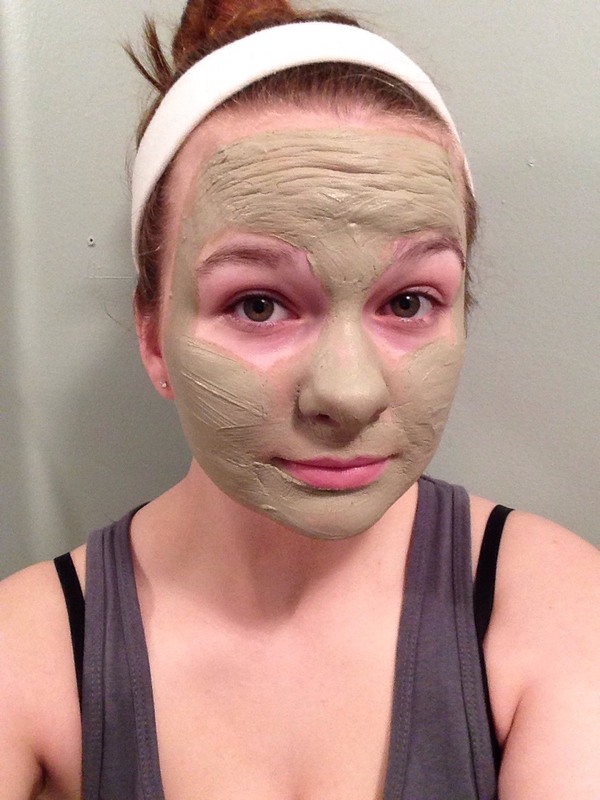 After I get the clay off, though, I prefer to follow up with Witch Hazel and Cetaphil Moisturizing Lotion. 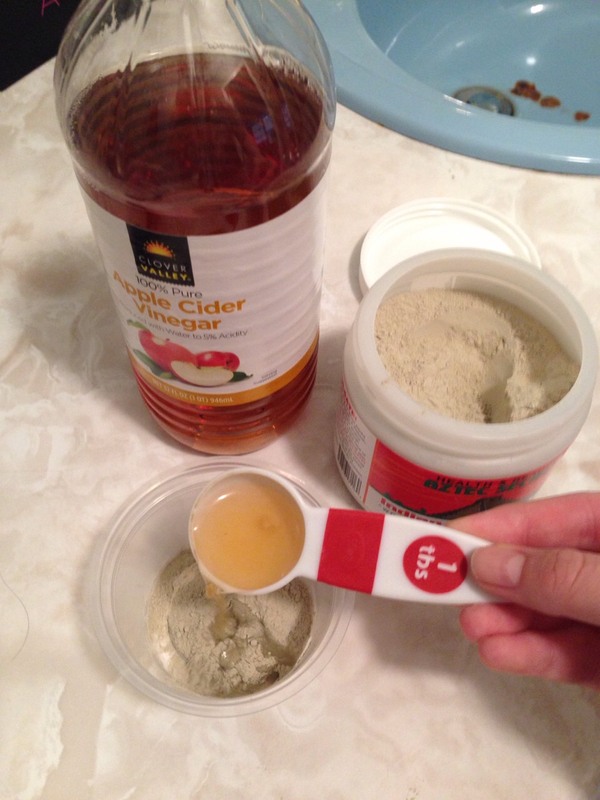 You can use water instead of apple cider vinegar, but the clay goes on smoother and thicker with the vinegar. 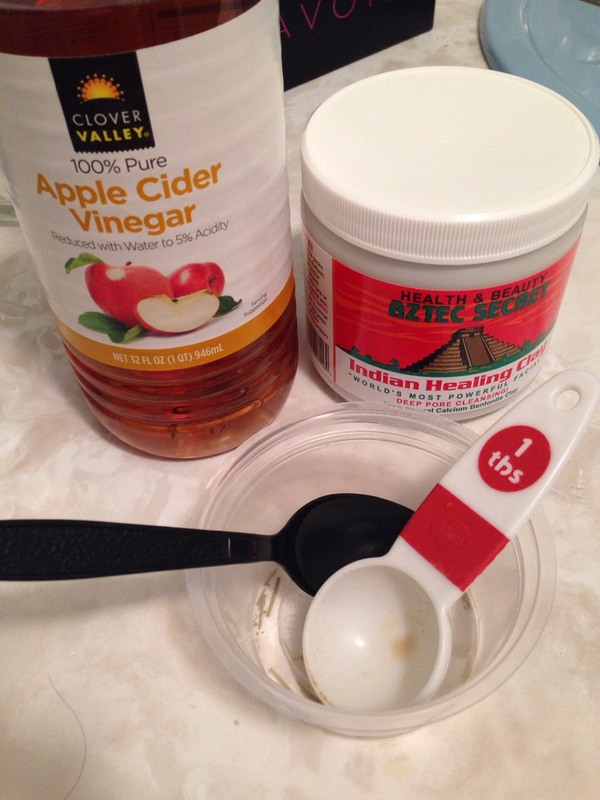 First, take equal parts Indian Healing Clay and apple cider vinegar (or water), and mix. DO NOT use a metal bowl and/or utensil. 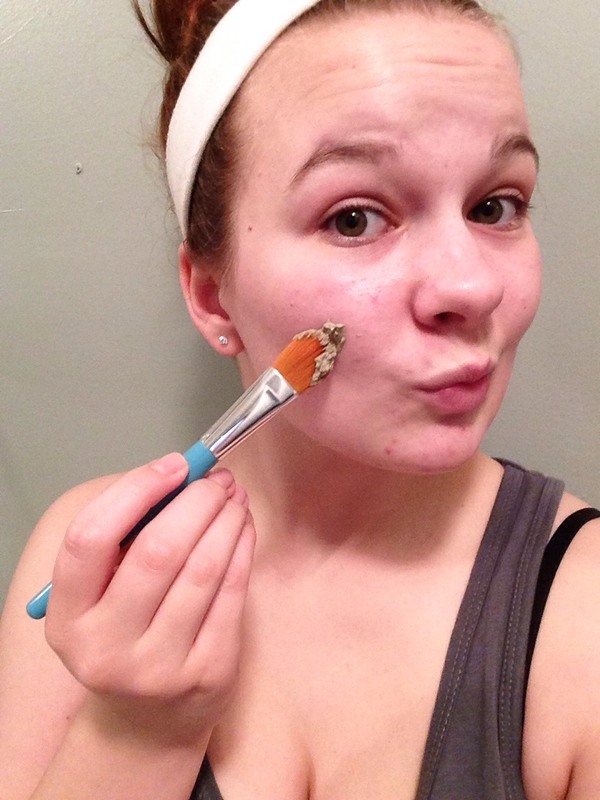 Next, apply the mixture with whatever you please (I prefer a brush - it tends to blend and apply better). Make the mask 1/4 in. to 1/2 in. thick. This is what it should look like after you're finished applying. For delicate skin, leave this on for only 15 minutes. For normal skin, though, leave it on for 20 minutes. I like to sit in front of my fan so it will be mostly dry when it's time to take it off. While we wait for it to dry, I'll tell you more about the product. 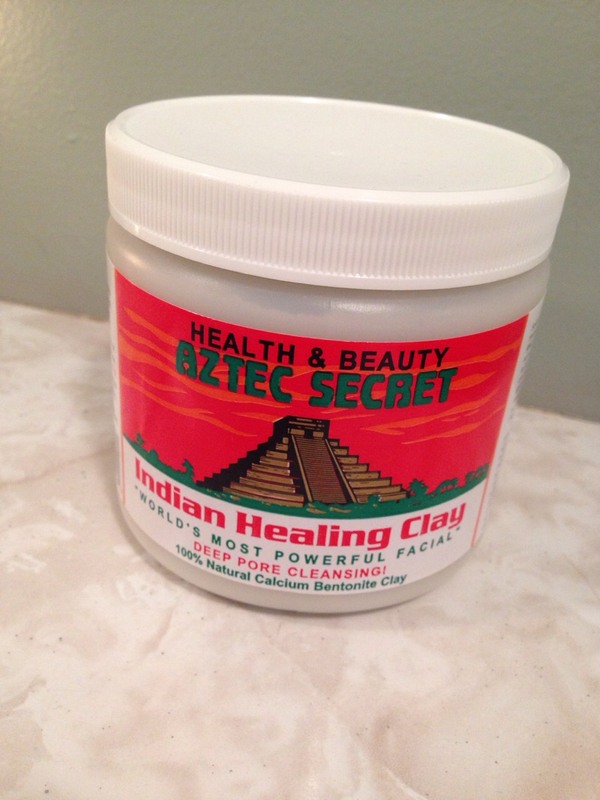 My mom uses the Aztec Secrets Indian Healing Clay, as well, because it is said to tighten skin, thus tightening wrinkles. Also, as it dries on your face, you may get a bit itchy, but that's normal.